Over the past 4 years, we have been designing, developing, testing, and refining the next level CHASE BMX frame, made out of Carbon fiber. 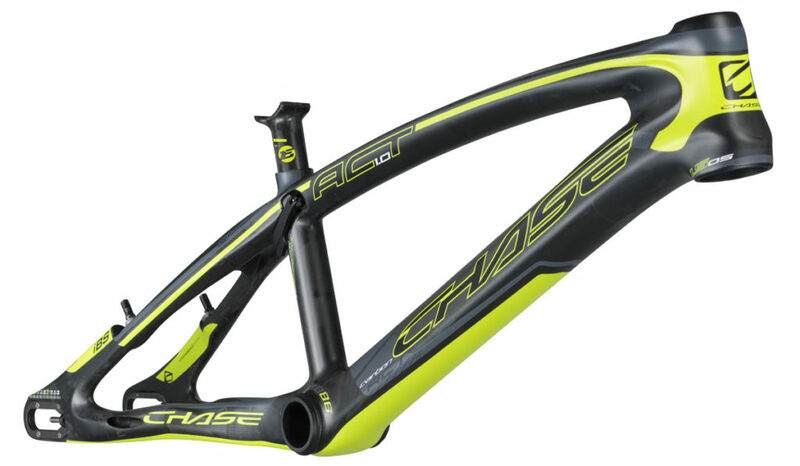 The Chase ACT (Advanced Carbon Technology) frame utilizes todays most advanced process to manufacture a BMX frame that can take the abuse of Pro Level, Supercross Style racing, but not be too stiff to make your ride too harsh. 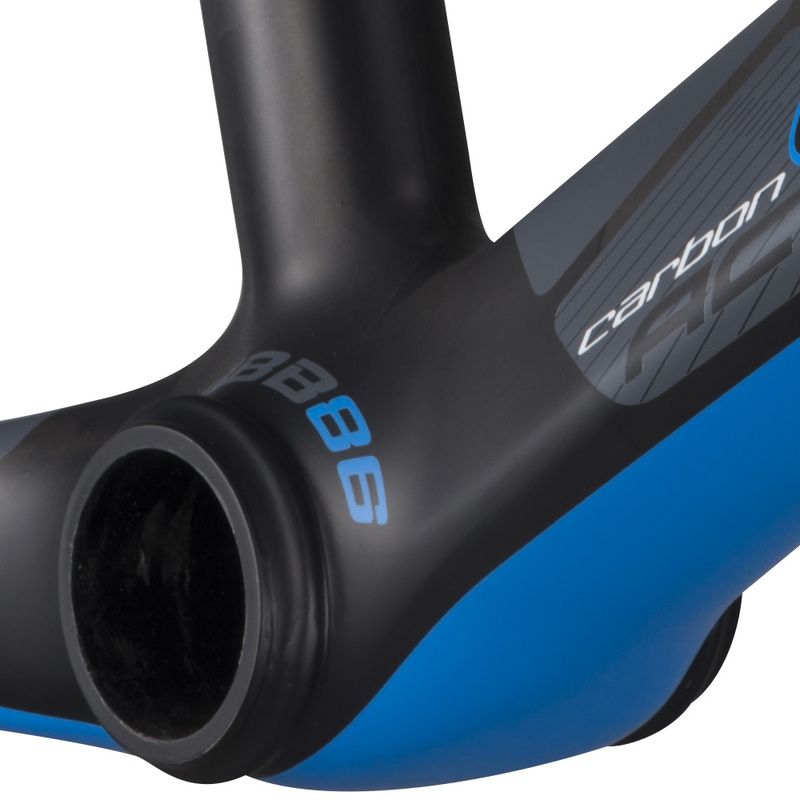 The main type of carbon fiber used for the manufacture of bicycle frames and parts are normal tow (under 12000 fibers) carbon fiber, like T700, or commonly known as 3k, 12k weave, and UD (uni-direction) carbon fiber. 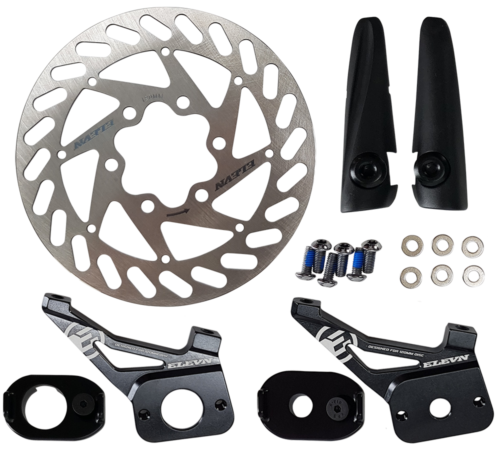 UD has the highest tensile strength of these listed Carbon Fiber type and is at this time the ultimate type of Carbon Fiber to be used for a BMX frame. Tensile strength is the amount of force needed to cause the fibers to breakdown, while the tensile modulus is a measure of the carbon fiber’s stiffness. 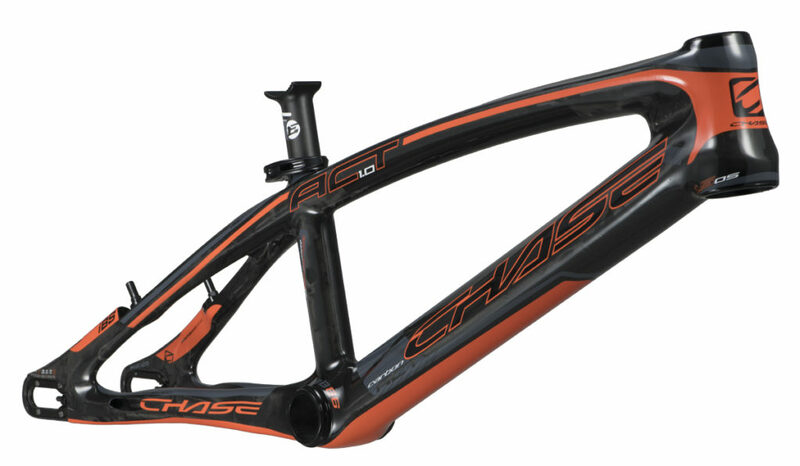 We exclusively use the UD Carbon when building the Chase ACT 1.0 Frame to make sure the frames is of the highest quality available. Its not only stronger than most strands of Carbon Fiber, but it is also lighter, but this all comes with a higher cost. 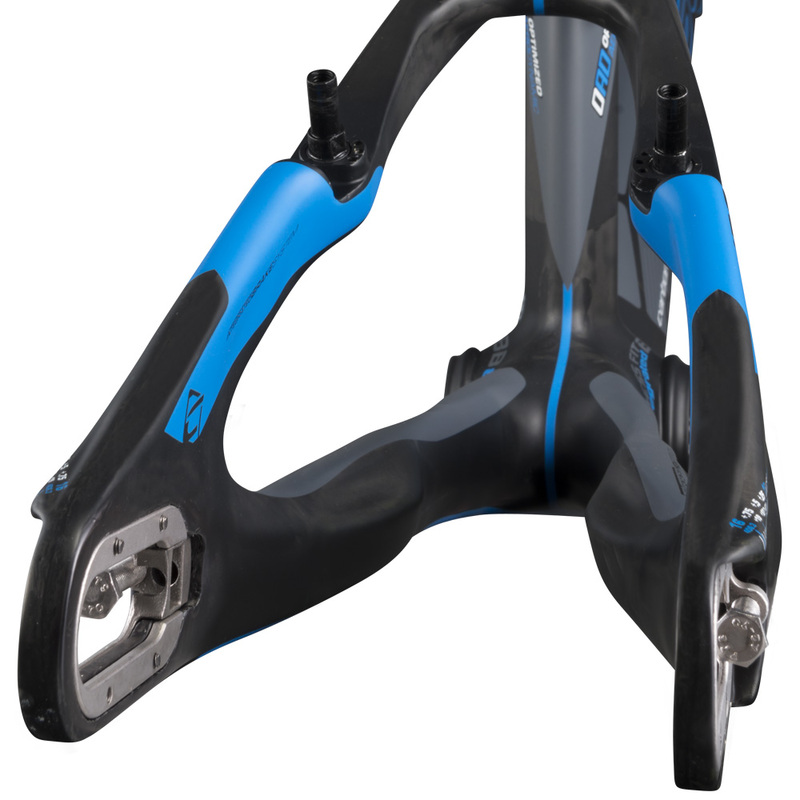 But when we designed the ACT frames, we were worried about performance and quality first, price was an afterthought. As well, we add new technical advancements like Aero Seat Post/Clamp system, a 1-1/8″-1.5″ tapered head tube with internal cable routing, a press Fit BB86 Bottom Bracket, and new enclosed plated dropouts with integrated chain tensioner system, the ACT 1.0 has been designed to work with 120mm Disc brakes or traditional V brakes, with the optional ELEVN Disc Brake adaptor and 120mm Disc. 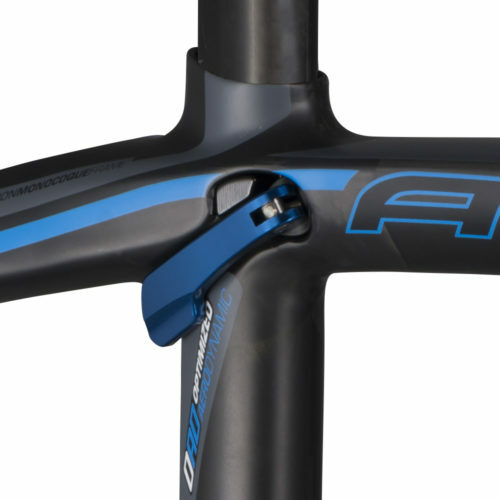 • Elevn Monocoque Carbon Seat Post Aero 27.2 diameter 110mm length in matching color. • 20mm Drop out Frame plateS installed, additionally each frame includes a 10mm (3/8″) drop out frame plate set up. There will be a very limited run of these frames, so ACT now, who can put a price on Victory? 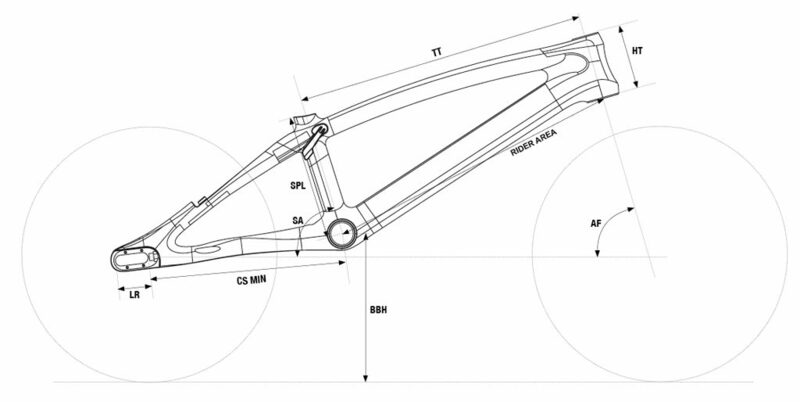 CHASE ACT 1.0 Frame was designed to use Disc brake and we approved it to be used with the ELEVN ACT 1.0 Disc Brake Adaptor Kit. • Pair of brake pivot cover cleats to replace the standard brake mounts for a clean, aero design look. 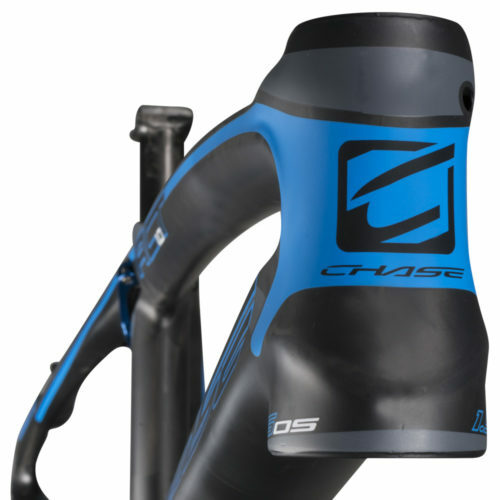 The Chase ACT 1.0 & RSP 4.0 Frames utilizes the Aero seat post tube, seat post, and seat post clamp into BMX racing. This is to not only to help gain fractions of a second on the track with improved aerodynamics, but the Aero tubes also offers a slightly stiffer feel. We know BMX bikes don’t need to go fully aero testing into a wind tunnel, but when races are won or lost by fractions of a second, every advantage will help. 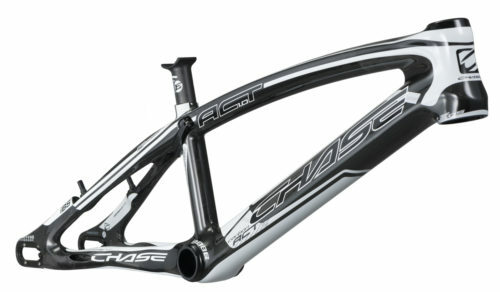 The Chase ACT 1.0 & RSP 4.0 Frames both use a Press Fit style Bottom Bracket tube. 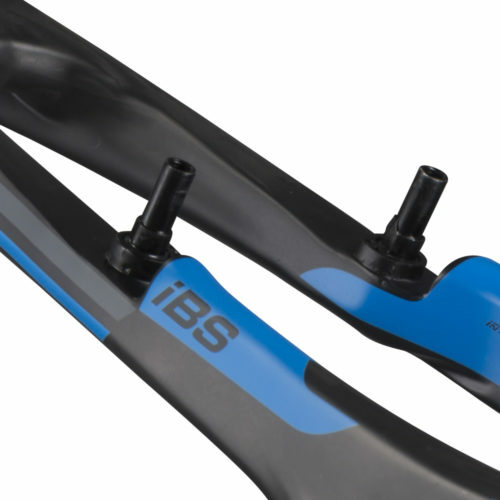 Press Fit BB are a simple and easy way to install a Bottom Bracket, where the Bottom Bracket you supply for your frame has the Bearings in cups and simply press into the frame, eliminating the chance of damaging BB threads, with the traditional Euro BB. 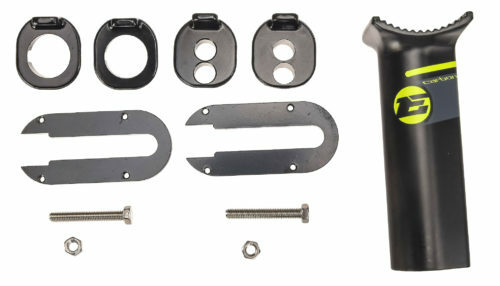 The BB is usually lighter and easier to install and remove as well. The Chase ACT 1.0 & RSP 4.0 Frames both use a Integrated Headtube. Tapered head tubes offer a combination for the bearing sizes. 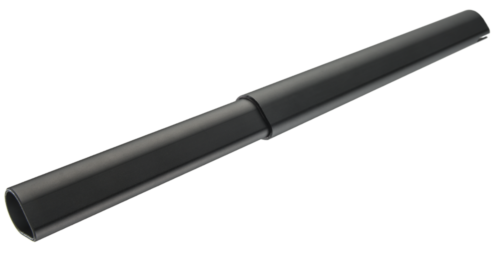 Our tapered head tubes have a 1 1/8” upper diameter to 1.5” lower diameter. this allows you to run a tapered steer tube fork, or use a full 1 1/8” fork steer tube, with the offered 1.5” lower bearing, when the headset has an optional 1 1/8” to 1.5” fork race option. 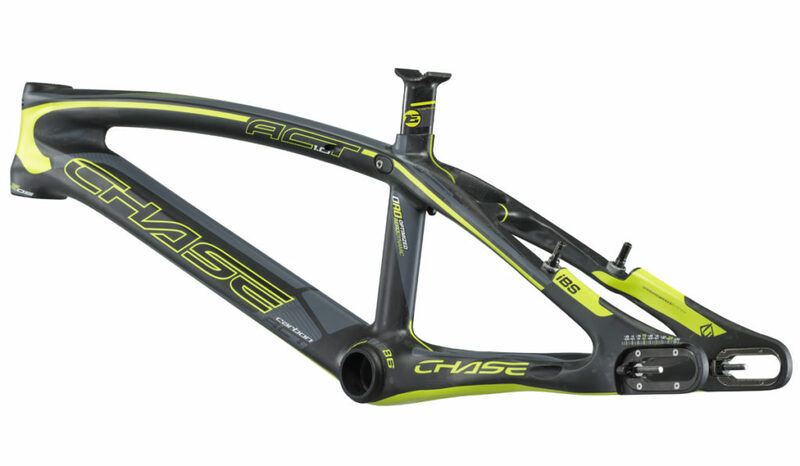 The Chase ACT 1.0 and RSP Frames feature Internal Cable Routing thru the top tube, giving you the factory look, as well as providing protection for the brake cable and graphics, since the cable does not rub against the frame. 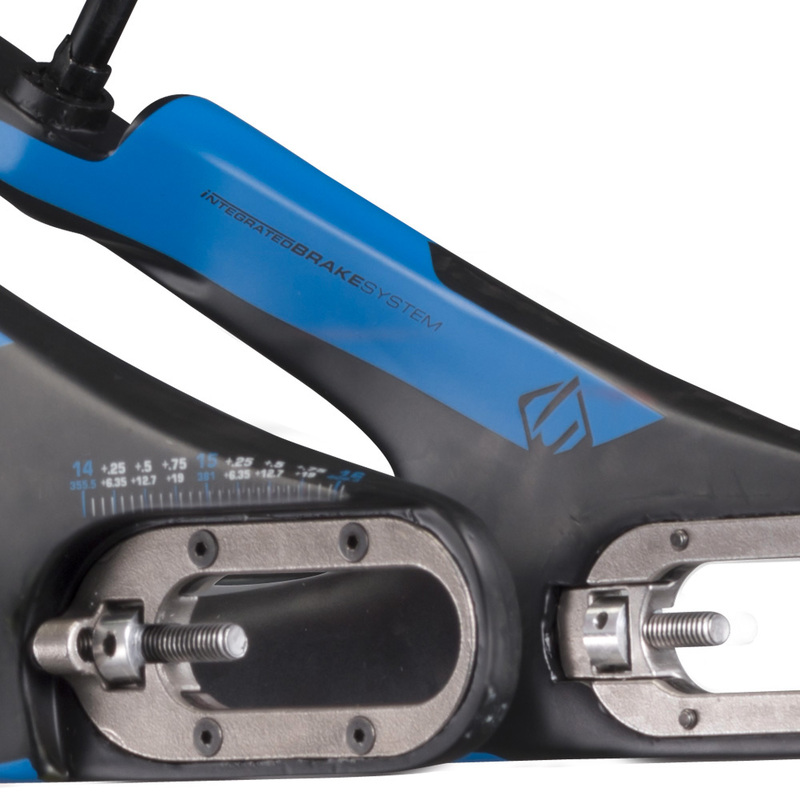 Frames Weights listed are without the seat post (2.1 Oz – 60g), seat clamp (1.1 Oz – 32g) and chain tensioners.